California is in the midst of a water crisis. By consensus estimates, climate change is poised to intensify this crisis in the coming years. Our water delivery and conservation strategies are outdated and structurally failing. California’s population is projected to rise at an alarming rate. More people mean less available water. 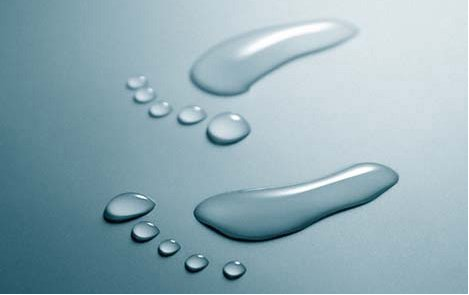 How should policy makers and water planners tackle these issues? 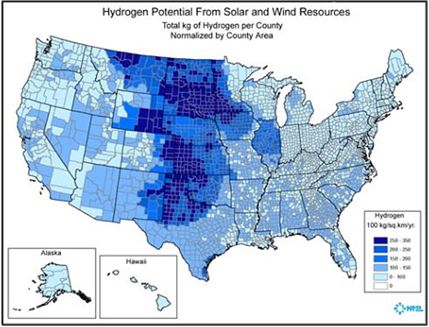 Overall, the results of the study give a positive indication that hydrogen can be used in the electric power sector. The consequences will be highly beneficial not only to mitigate the emissions problem but also to encourage the utilization of more renewable resources to produce hydrogen. Maybe you are considering purchasing a renewable energy system to generate electricity at your home. Although it takes time and money to research, buy, and maintain a system, many people enjoy the independence they gain and the knowledge that their actions are helping the environment. Small hybrid electric systems (solar and wind). Planning for a home renewable energy system is a process that includes analyzing your existing electricity use (and considering energy efficiency measures to reduce it), looking at local codes and requirements, deciding if you want to operate your system on or off of the electric grid, and understanding technology options you have for your site. If you're designing a new home, work with the builder and your contractor to incorporate your small renewable energy system into your whole-house design, an approach for building an energy-efficient home. Microhydropower can be one of the most simple and consistent forms or renewable energy on your property. If you have water flowing through your property, you might consider building a small hydropower system to generate electricity. Microhydropower systems usually generate up to 100 kilowatts of electricity. Most of the hydropower systems used by homeowners and small business owners, including farmers and ranchers, would qualify as microhydropower systems. But a 10-kilowatt microhydropower system generally can provide enough power for a large home, a small resort, or a hobby farm. A microhydropower system needs a turbine, pump, or waterwheel to transform the energy of flowing water into rotational energy, which is converted into electricity. Our page on planning a microhydropower system has more information. Hydropower systems use the energy in flowing water to produce electricity or mechanical energy. Although there are several ways to harness the moving water to produce energy, run-of-the-river systems, which do not require large storage reservoirs, are often used for microhydropower systems. For run-of-the-river microhydropower systems, a portion of a river's water is diverted to a water conveyance -- channel, pipeline, or pressurized pipeline (penstock) -- that delivers it to a turbine or waterwheel. The moving water rotates the wheel or turbine, which spins a shaft. The motion of the shaft can be used for mechanical processes, such as pumping water, or it can be used to power an alternator or generator to generate electricity. A microhydropower system can be connected to an electric distribution system (grid-connected), or it can stand alone (off-grid). Can emerging markets make economic growth compatible with climate action? Can the trade-off between growth and rising emissions be influenced by policy? First, there are Turkey’s endowments. We tend to think of Turkey as an energy poor country – dependent on imports for almost 60 percent of its domestic needs. But the country has significant renewables potential. For instance, Turkey’s economically viable hydro potential is estimated at 140 TWh, or close to 60 percent of total 2012 energy demand. Surrounded by three seas, Turkey is one of the most promising markets for wind power in Europe and it has lots of sunshine - as millions of tourists can confirm! Sitting on the Anatolian fault line, Turkey is geologically active and is estimated to have the 7th largest geothermal resources in the world. These are enviable endowments for a green growth future. Over the last two decades Turkey has been experiencing rapid economic, population, and industrialization growth – leading to economic and social improvements across the country. These improvements have been instrumental for growth and have led to increases in demands for energy by both industry and households in Turkey. Electricity demand around the country has been increasing by as much as 7-8 percent in recent years, resulting in energy transmission and peak capacity in the country increasing by nearly 60% between 2002 and 2010. Although this increase in energy consumption and intensity has been vital for Turkey’s sustained economic growth, it has also led to increases in energy imports to the country and rising carbon dioxide (CO2) emissions. In response to this situation, Turkey is now embarking on an ambitious path to help ensure that future growth in the country will incorporate an energy sector strategy that is both more economically and environmentally sustainable. In recent years Turkey has developed several energy strategies that prioritize the local production of energy from wind, hydropower, and geothermal sources by local companies and emphasize the need for improved energy efficiency in the country. With an eye toward its centennial in 2023, the country is committing itself to several ambitious action plans designed to increase power generation from different renewable sources within the country, while decreasing energy intensity and environmental impacts over the coming decade. Two key documents – the Electricity Market and Security of Supply Strategy and National Energy Efficiency Strategy – are paving the way for these improvements by respectively calling for Turkey to meet a target of 30% for renewable energy production in the country and to reduce its energy intensity levels (energy consumption of energy per unit of GDP) by 20% between 2011 and the end of its Centennial year. With much of Turkey’s energy supply coming from outside of its own borders and fossil fuel consumption in the country on the rise – leading to rising levels of carbon dioxide – this shift toward locally produced, renewable energy and improved energy efficiency represents a potential triple win for the country – simultaneously increasing domestic energy generation, decreasing CO2 levels, and spurring growth among Turkey’s small, medium, and large energy companies. Today, Turkey imports more than 60% of its energy - much of it in the form of fossil fuels - despite an abundance of untapped, renewable energy sources throughout the country. Although Turkey ranks number one in the world in terms of growth rate for wind energy plants today, it currently utilizes just five percent of its projected total potential in this area. Furthermore, rivers and lakes throughout Turkey represent approximately 140 Terawatt hours (TWh) of economically viable energy potential. The collective utilization of the country’s impressive hydro potential, an additional 20,000 megawatt hours (MWh) of wind-installed capacity, and an expanding geothermal sector represents the cornerstone of Turkey’s renewable energy strategy – which is already helping to boost private sector involvement in energy production in Turkey and is leading to significant reductions in both energy intensity and overall greenhouse gas (GHG) emissions. As part of this continued push to increase renewable energy production and improve energy efficiency, the World Bank Group is working with Turkey to increase that country's capacity is these two key areas. 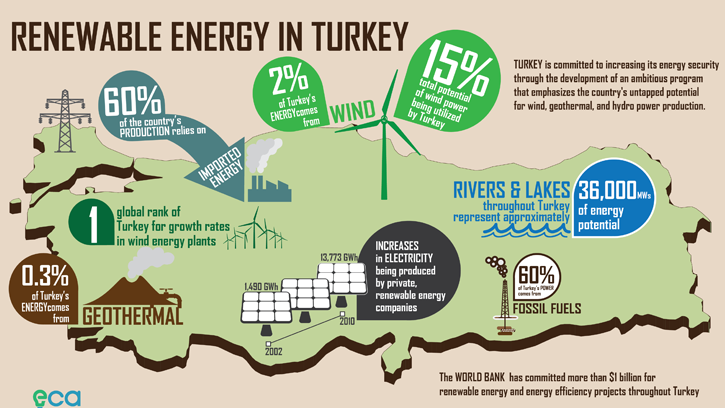 More than $1 billion in World Bank funding has been leveraged by Turkey for renewable energy and energy efficiency projects, leading to significant increases in energy being produced by privately-owned, renewable energy companies in Turkey - as well as significant reductions in CO2 emissions throughout the country. Over the last decade the amount of electricity being produced by these privately-owned facilities has expanded nearly 18 fold – increasing from 1,490 gigawatt hours (GWh) in 2002 to 26,235 GWh in 2012. 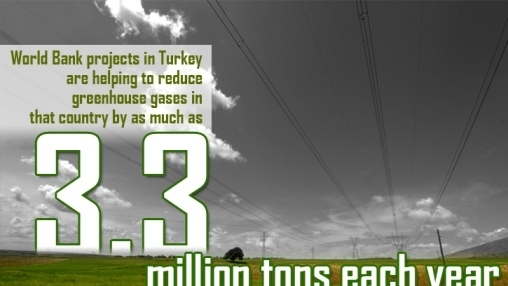 Furthermore, projects being developed in coordination with The World Bank Group are helping to reduce greenhouse gases in Turkey by as much as 3.3 million tons every year. The work in power generation that is being supported by The World Bank Group is also being complimented by ongoing work to improve energy efficiency around Turkey. By prioritizing improvements in energy efficiency measures for small and medium enterprises (SMEs), Turkey is able to boost the competitiveness of these SMEs - by lowering operating costs - while simultaneously helping to further green its economy - through decreases in energy intensity and GHG emissions. The recent Small and Medium Enterprises Energy Efficiency Project represents the latest cooperation between Turkey and The World Bank Group in this sphere. This $201 million project is designed to generate more than 300 GWh in annual energy savings for SMEs across Turkey and reduce CO2 emissions by as much as 154,000 tons by 2018. Collectively, these actions are instrumental in helping Turkey continue to experience the kinds of economic and social growth it has seen in recent years without forcing it to increase its energy intensity and CO2 emissions. As a result, Turkey is paving the way today for a bright and beautiful bicentennial celebration in 2123. Miguel Arias Cañete, European Commissioner for Climate Action and Energy and Ziad Jibril Sabra, Advisor to the Minister and Director, Ministry of Energy and Mineral Resources, Jordan, have launched a new platform for cooperation on renewable energy and energy efficiency in the framework of the Union for the Mediterranean. The platform, launched on 14 November at the COP22 climate summit in Marrakesh, Morocco, aims to provide a forum for discussing energy policy objectives and measures, and to identify and implement joint initiatives. It aims to promote the growth of renewables and energy efficiency measures in a way that fosters socio-economic development and boosts access to secure, affordable, reliable and climate-friendly energy. The platform was launched alongside Osama Assran, Vice Minister of Electricity and Renewable Energy, Egypt; Fathallah Sijilmassi, Secretary General of the Union for the Mediterranean; and Nandita Parshad, Director of Power and Energy Utilities, European Bank for Reconstruction and Development. This is the third of three regional cooperation platforms to be launched. Last year two other Euro-Mediterranean platforms were launched to boost cooperation on both gas and electricity.